Eine Auftragskomposition des NTU Centre for Contemporary Art Singapore, als Teil der Ausstellung „The Sovereign Forest“ von Amar Kanwar. Das Setting des Stücks setzt voraus, dass die traditionelle Konzertsituation aufgebrochen wird. In einem nahezu komplett dunklen Ausstellungsraum bewegen sich die Zuhörer*innen zwischen einer Mehrkanal-Soundinstallation. Die Performerin bewegt sich als mobile Klangquelle durch die Räume. Hin und wieder macht sie sich kenntlich indem sie kleine Lichter anmacht mit denen sie Licht-Sensoren steuert, deren Input verschiede elektronische Klänge in Echtzeit manipuliert. Das Stück ist inspiriert von dem Geschichtenbuch „The Counting Sisters and Other Stories“ von Amar Kanwar, in dem die Geschichte von sieben Frauen erzählt wird, die in einem Akt des politischen Widerstands Listen anfertigen von allen Dorfbewohnern, die im Zuge von Demonstrationen und Ausschreitungen „plötzlich verschwinden“ oder sterben. Amar Kanwar bezieht sich damit auf die politischen Ausschreitungen von 2008 im indischen Bundesstaat Odisha. 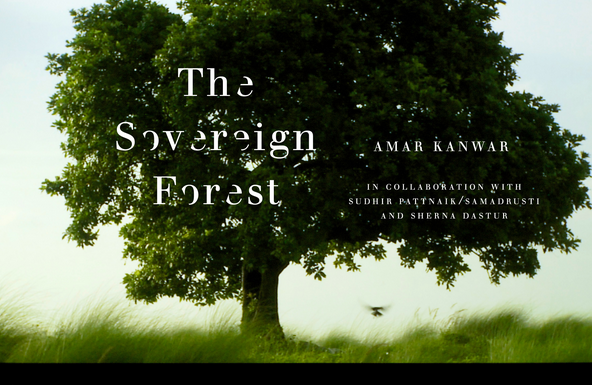 The piece was staged within the exhibition „The Sovereign Forest“ by Amar Kanwar @ NTU Centre for Contemporary Art in Singapore 2016. The total duration of the piece is 60 minutes. It is a mixture of real time 6-channel sound installations and sections with a live vocal performance. The audience is situated in a space where the border between stage and auditorium is abolished. There is only little illumination. The loudspeakers as well as the performer are not visible. Only certain parts that include a live improvisation with light bulbs and light sensors require the appearance of the performer. The piece is inspired by the book of folk tales called „The Counting Sisters and Other Stories“ written by Amar Kanwar, that tells the stories of a small act of resistance by a group of 7 women who carry out a ritual of remembrance while, around them, state and local politicians and corporations collude to rewrite the legal documents that define the ownership and status of their village. 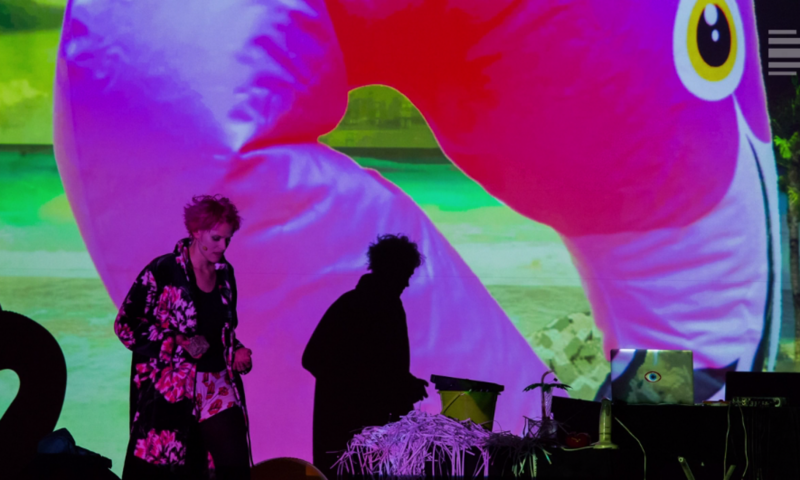 Considered as a multi-layered dialogue, the piece is a musical translation using the human voice in combination with live electronic sound extensions and spatial sound movements. The performance aimed to stay in a constant dialogue with the exhibition. „There are six women who work together and one woman who works in her own. The six call themselves „The Counting Sisters“. (…) The Counting Sisters keep a track of every person killed or disappeared. They keep a track of every name, address, date, and photograph. (…) One day, early in the morning, the police arrested The Counting Sisters. Is it a crime to mourn the dead? Is it a Crime to count the disappeared? The Counting Sisters began to sing. They first sang about the sorrow of The One Alone (…) and about the daily life of the people of Odisha. information about the peformance: CLICK HERE.